We take a long weekend to travel, visit with friends & family – barbeque and just have fun! However, Memorial Day is about so much more! 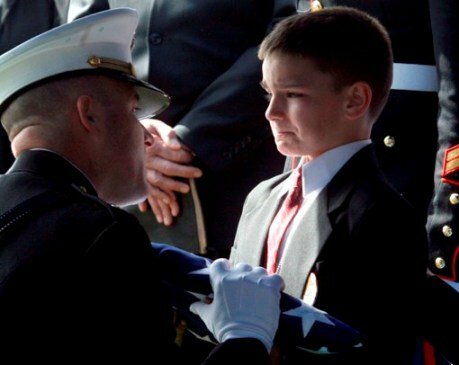 Nearly every family in America has been touched by the sacrifice of one they love, a neighbor or a friend; today’s active military included! In a time of healing, the women of the South began decorating the graves of their Confederate soldiers and they also decorated the graves of the Union soldiers. The Gray and the Blue were united by the love and memory of these women. Bill Federer’s American Minute gives us the historical account. Southern women scattered spring flowers on the graves of both the Northern and Southern soldiers who died during the Civil War. This was the origin of Memorial Day, which in 1868 was set on MAY 30. President James Garfield’s only executive order was in 1881 to give government workers MAY 30th off in order to decorate the graves of those who died in the Civil War. In 1968, it was moved to the last Monday in May. From the Spanish-American War, to World Wars I and II, Korea, Vietnam, Desert Storm, War against Islamic Terror, up through the present, all who gave their lives to preserve America’s freedom are honored on Memorial Day. Beginning in 1921, the tradition has been for Presidents to lay a wreath on the Tomb of the Unknown Soldier, which is guarded 24 hours a day, 365 days a year. The number 21 being the highest salute, the sentry takes 21 steps, faces the tomb for 21 seconds, turns and pauses 21 seconds, then retraces his steps. “There can be no peace with the forces of evil. Peace comes only through the establishment of the supremacy of the forces of good. LET’S NOT FORGET THE SACRIFES MADE DURING THIS NATION’S CONTINUED EXISTANCE! God has blessed this nation over and over again! It’s time we bless Him and turn this nation back to a Godly nation, as it was so founded and established. CSC Talk Radio recognizes the sacrifices made throughout the history of this nation and we give thanks for all and their families! God Made A Patriot is a tribute I read today – take time to listen to day’s show and think about the sacrifices made and the blessing this nation has received. In the second half of today’s show Sheriff Richard Mack joined me. We talked about how best we can honor those gone before by protecting liberty now and preserving our Constitution and Bill of Rights for the future generations of this nation. I’ve talked many times now in the last several weeks about the importance of exercising out FIRST AMENDMENT! Please download your Petition of Grievance, make as many copies as you need and send them to all your elected officials! THEY ARE THE BRAVE ONES! and gave us the freedom we have now. and force many to turn-in their boots. as it never has in our past.